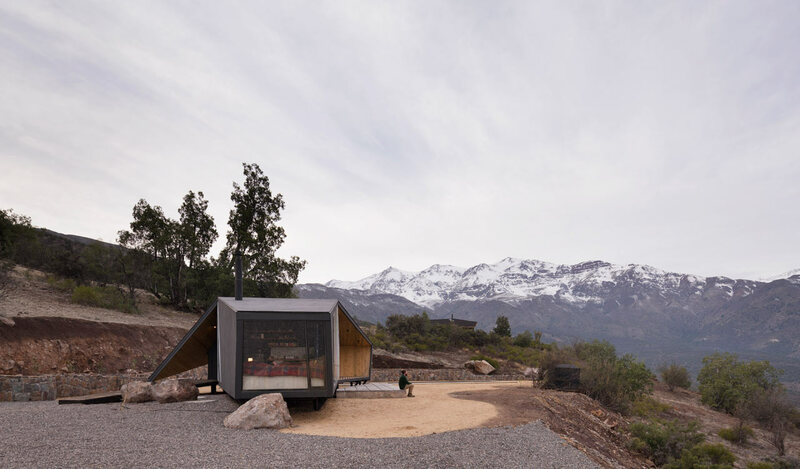 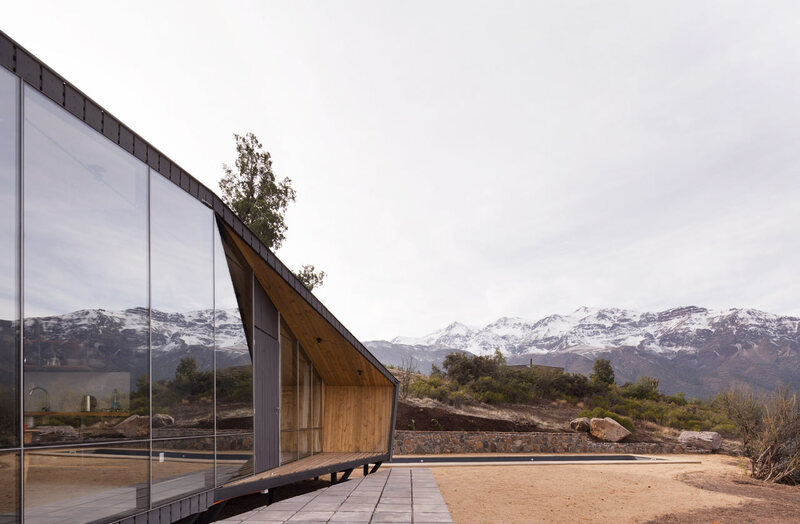 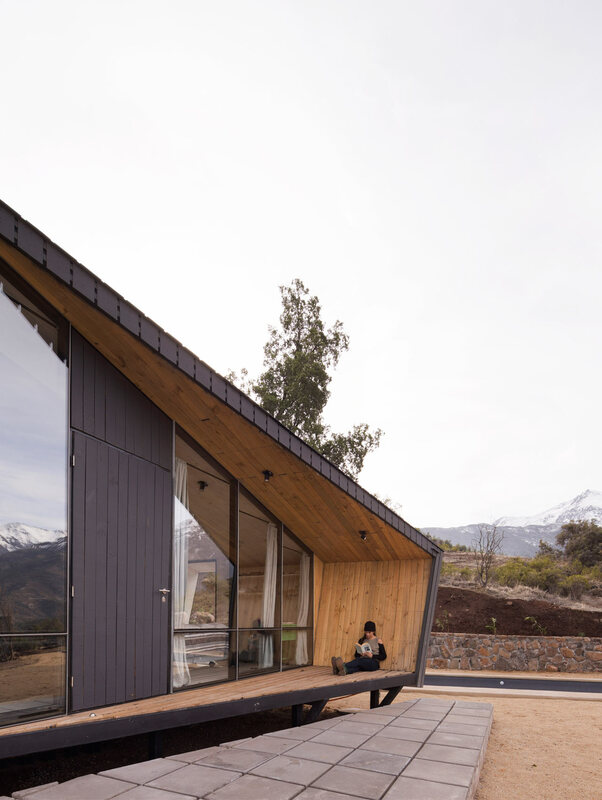 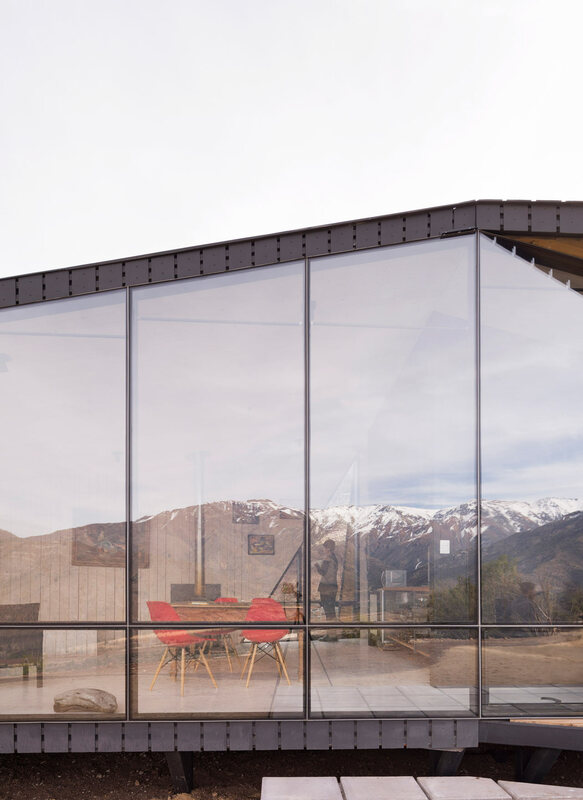 In the mountains of San Esteban, Chile, a small cabin was designed as a retreat for those arriving and departing on treks who need a place to rest and reflect on their expedition. 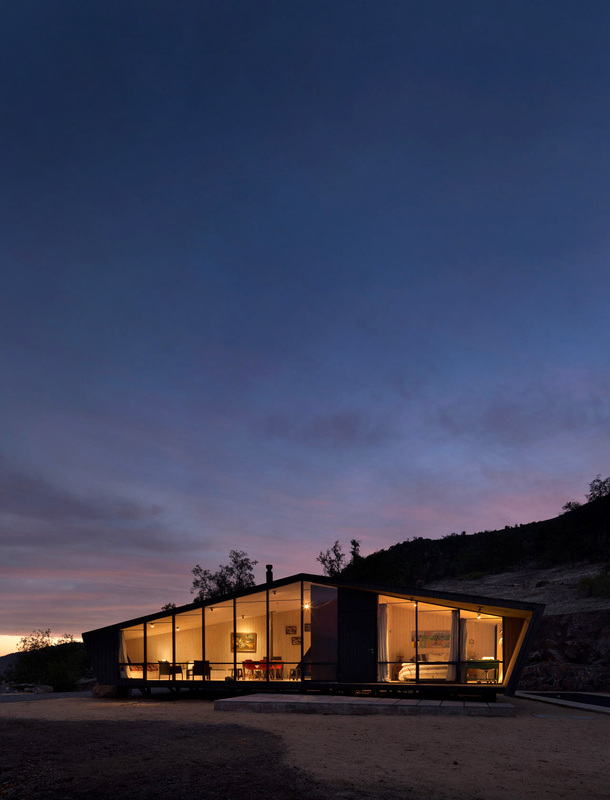 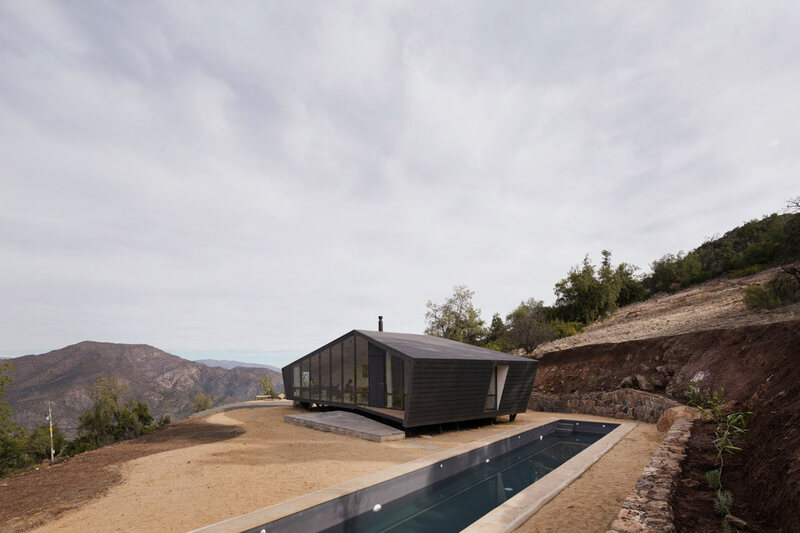 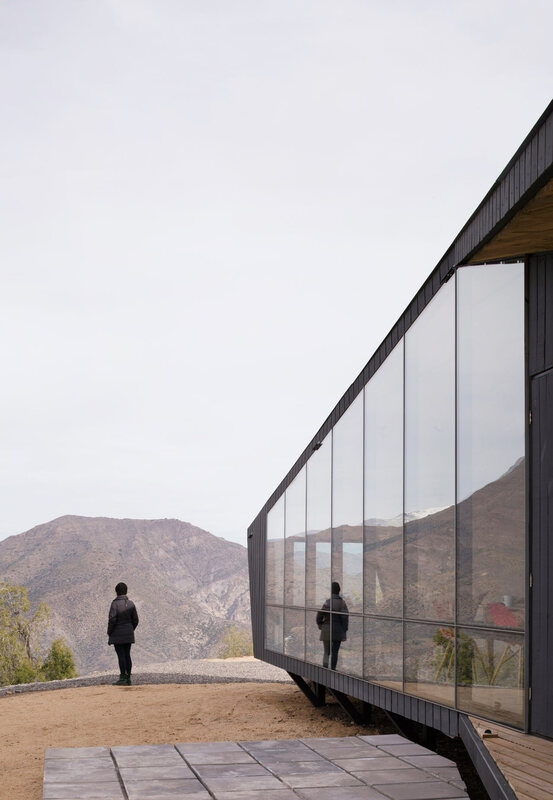 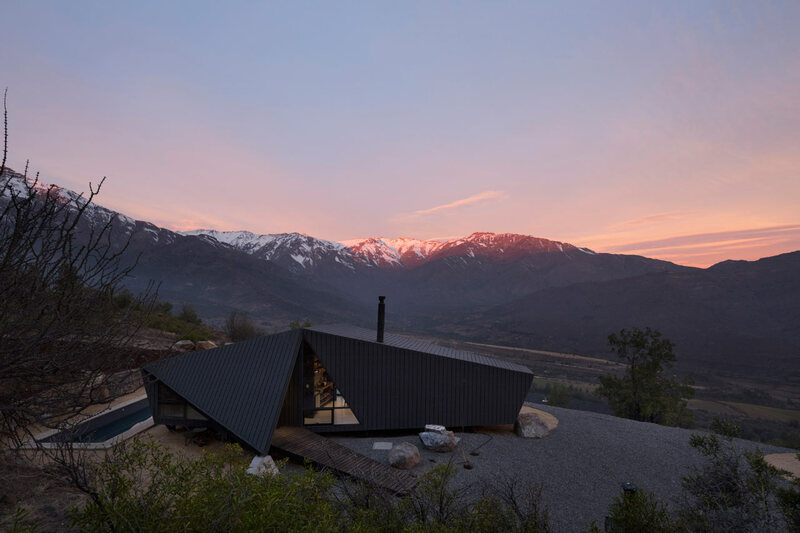 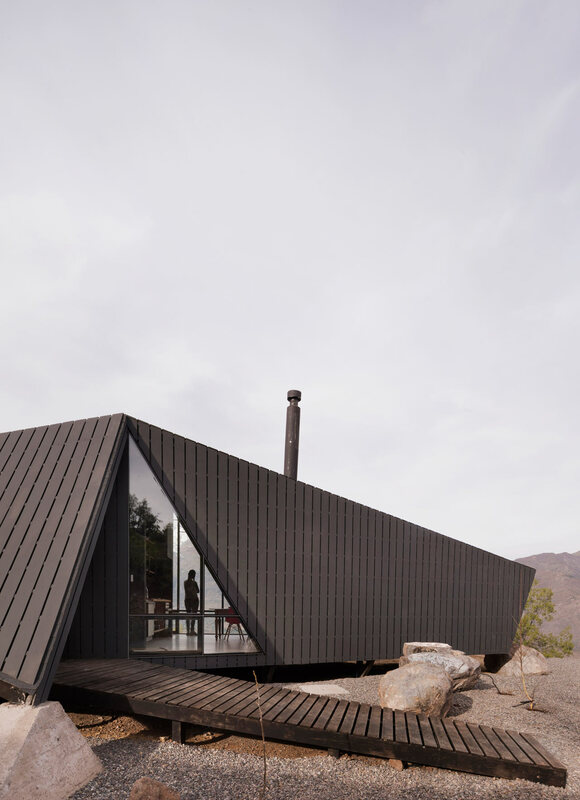 Gonzalo Iturriaga Arquitectos is behind the Mountaineer’s Refuge, designed to include a kitchen, bedroom, and bathroom within a geometric structure. 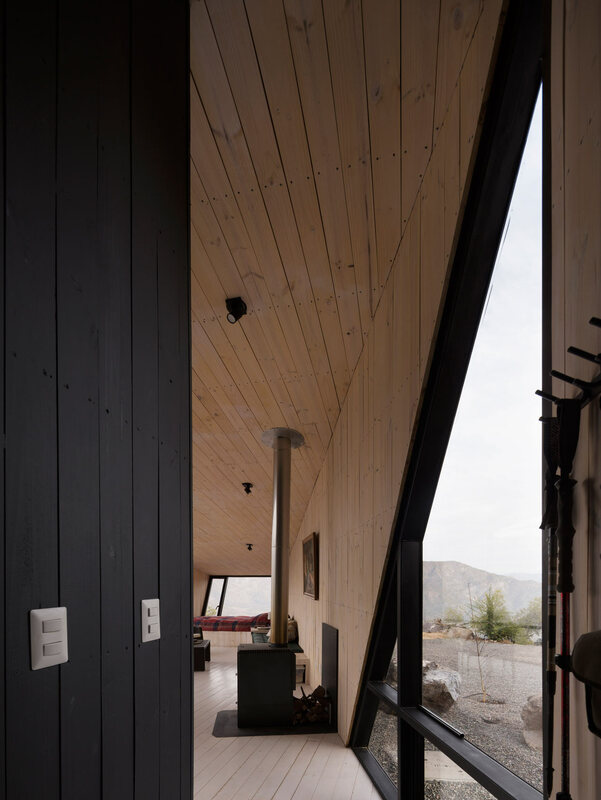 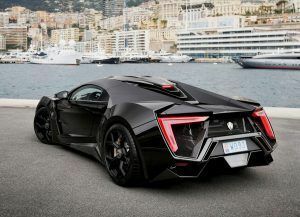 The entrance is located within one of the structure’s folds, while the large, window-filled opening on the back appears as if it was cut out of the volume. 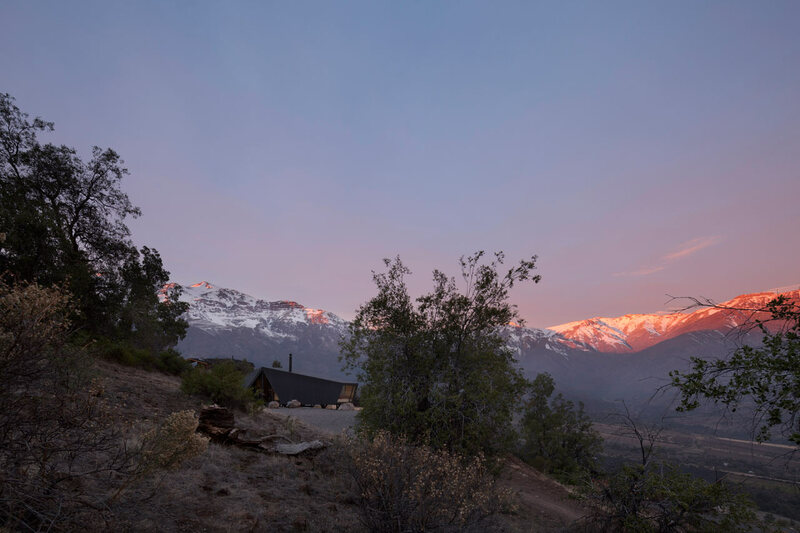 The cabin was built on top of piles suspended above the ground allowing ventilation from all sides. 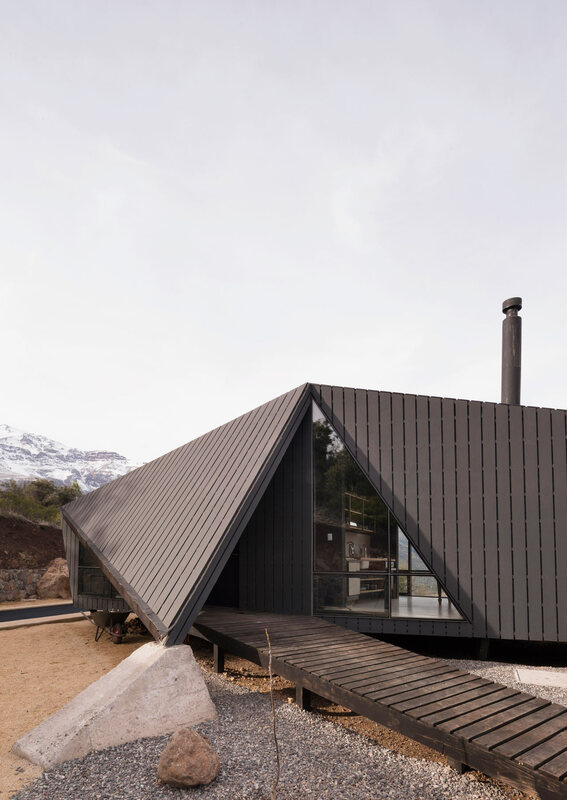 The exterior is clad in vertical pine boards with metal details. 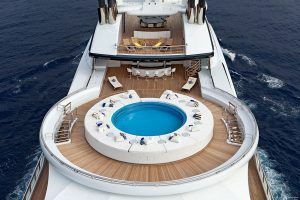 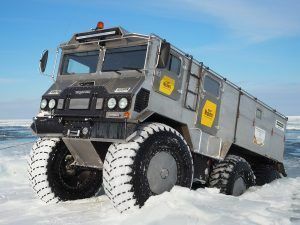 The interior is designed with the bedroom and storage room on one end, which holds the mountaineering equipment. 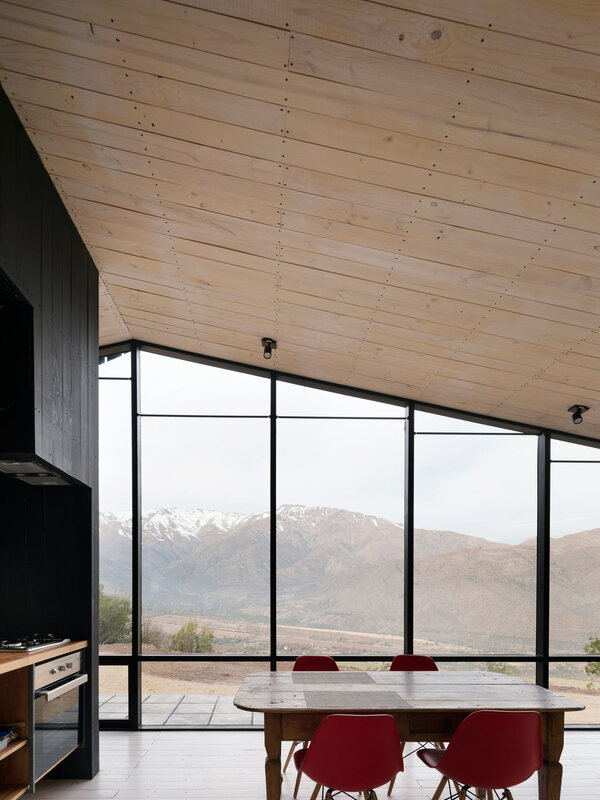 The other side houses the open living space with views of the mountain. 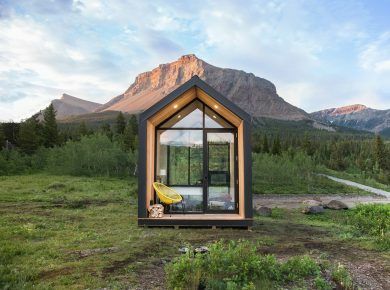 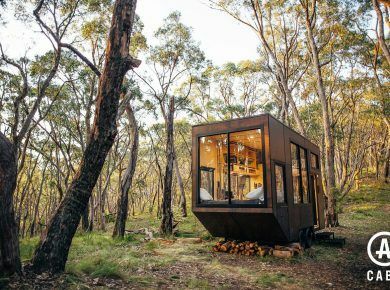 If you liked this cabin you might be interested in the – Skyli Trekking Cabin.